An expected financial loss of $250-300 million for the first half of the current financial year is seeing Qantas slash “at least” 1,000 jobs among a range of other measures as it struggles to further cut costs in a deteriorating airline travel market. 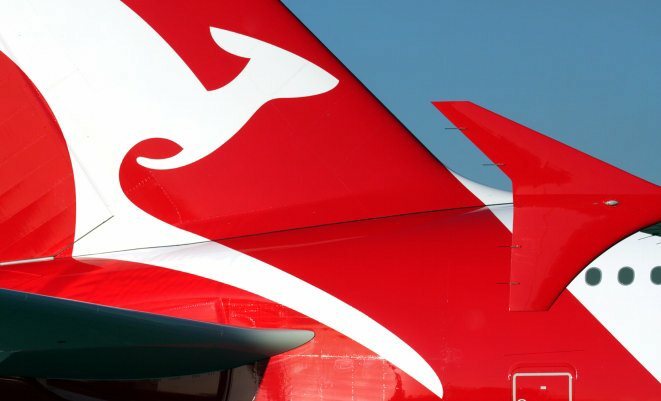 “We will do whatever we need to do to secure the Qantas Group’s future,” Qantas Group CEO Alan Joyce said in a statement announcing the expected loses. To meet those challenges, Qantas says it aims to accelerate existing cost saving measures to achieve savings of $2 billion over three years. In addition to the job cuts – the details for which remain unspecified – the CEO and board will take pay cuts, senior execs will have their pay frozen and bonuses suspended, spending with the airline’s top 100 suppliers will be “reviewed” and unspecified “network optimisation and improved fleet utilisation” is planned. The review of capital expenditure will be needed to ensure the business generates “positive net free cash flow from FY15”. Joyce said action was needed regardless of any financial support form the federal government, for which it has been lobbying for over the past 10 days. “None of the measures being discussed with the government would alleviate the need for us to take the comprehensive actions we have announced today. Government action will, however, be key in enabling us to keep competing effectively on a level playing field,” he said. “Since early 2012, there has also been an unprecedented distortion of the Australian domestic market, with Virgin Australia’s strategy to seek majority ownership and massive financial backing from foreign government-owned airlines,” Joyce asserted. I doubt they’re starting from top down. The 1000 job cuts should start at the top starting with AJ, and working down the list of managers. Virgin Australia’s greatest asset is Alan Joyce. I can think of one job cut Qantas could make and it would save a couple of million over night. Virgin’s “behaviour” (ie, the $350m foreign capital injection) is not uncommercial. It’s brilliant. Qantas is unfortunately the one straddled with uncommercial limitations on what it can & can’t do. Joyce is right in that it’s an unlevel playing field, but that’s not Virgins fault. Virgin made me do it? What next? The dog ate my homework? News flash AJ, that’s called competition… that’s what they are supposed to be doing! Either he isn’t too bright or he’s trying to play us all for fools. Either way, this path only leads to him taking the airline down with him. Why oh why is he still in charge of this company! Surely the government won’t even consider investing in Qantas until Joyce his gone. He cannot blame Virgin Australia for his woes. He said it himself that he would add two aircraft to everyone of his competitors. There was no need to do this. Qantas already has an extensive network. Invest in Qantas and stop investing in Jetstar. Looks like the lockout and shutdown tactic hasn’t born fruit for Joyce and Qantas. Who could possibly have predicted that? Still, I’m sure that if they keep reducing staff til there are none left, then get rid of the aircraft as well, things will go swimmingly! Qantas will always be here, they will never fall, Australia won’t let it! Seriously Virgin is doing what it needs to survive, they have done such amazing things in the small amount of time they have been around, John Borghetti is a genius, if Qantas hadn’t passed him over as CEO, IMAGINE WHERE QANTAS WOULD BE TODAY!! If Alan Joyce took the time to work on Qantas it’s image and it’s international product people might want to help them! Stop spending all your money on Jetstar and building Jetstar in other countries other then Australia, then qantas would have a lot more money and could help themselves! Alan Joyce helped create Jetstar… Low cost mentality not a premium carrier mentality that Qantas needs! SERIOUSLY!! Then the whole of Qantas might rejoice…!! With no strategy other than invest at all cost in Jester FAILING operations overseas, and figuratively speaking ‘tarting up’ the current Qantas fleet without any real new investment – never having paid share holders a dividend in his reign because of his short comings; constantly slashing and burning staff – blaming everyone but himself (and management team). Whose holding this mob accountable for their incompetence? Seriously?? It’s time to go Alan – hopefully the board will act promptly and bring in somebody who has an idea in what they’re doing; Rob Fyfe perhaps. I would fly Qantas if they had international flights departing from Perth but AJ in his wisdom has given me no choice so I fly with Cathay when I go to Hong Kong, Singapore Airlines to fly to Singapore and to Africa (it’s cheaper to fly to Johannesburg via Singapore than to fly Qantas code share on South African Airways). Aj has done the same to South Australians, there are no Qantas international flights, however international capacity has risen in Adelaide at a higher rate than anywhere else in Australia. Qantas The Australian Airline, I don’t think so! Too much emotion and not enough fact. International airlines compete with the best of the best internationally. It is not a level playing field for QF international with its cost base being predominantly Australian based. Qf’s cost base is totally uneconomical. All costs are too high. The international carriers are hammering Qantas as they do not have Australia’s massively expensive costs , outdated staff contracts and unrealistic unions to deal with. Local staff need to be recontracted to similar of that of Jetstar’s. Offload most of its international staff base overseas to significantly reduce costs. Almost all aircraft servicing to be done overseas. 747and 767′ s immediately withdrawn. Adjust routes and frequency for these aircraft withdrawals. Reduced capacity but more efficient aircraft being utilised. I know this is not what some want to hear but it is survival of the fittest. My goodness listen to all the whining from obviously uninformed people! Don’t you think that the large investors in Qantas Group would have had AJ’s head ages ago if they thought he was no good. I think these investors are in a much better position to make a decision like that than any of the whiners above. For a good investor return any company group is going to invest in the performing divisions and that is exactly what Qantas Group is doing with Jetstar, growing the business that is making money. Jetstar has a low cost base that is competitive in the world and is expanding with plenty of willing partners for further investment. Remember to operate in Asia there are majority ownership laws which must be met and Qantas Group has no troubles finding these partners for Jetstar expansion. Qantas Group’s biggest problem for its Qantas operations is the highly unionised work force who still want to live the golden days of government ownership in a closed market! Get real people as Qantas has to operate in a global market whether you like it or not and its cost base is killing it and you are the problem. You are a bunch of dinosaurs who still want to live in the past. How soon before you start striking again? Why shouldn’t Qantas outsource engineering when you make them uncompetitive? Virgin, Tigerair, Air New Zealand as an example all have lower cost bases so why shouldn’t Qantas? And how would I know about this, well I was once a LAME. Remember what happened to Ansett with its very expensive cost base……. I live in Darwin and fly for business twice a month to Asia. There are no Qantas flights available. So you can fly on Silk Air, or MAS and if you want poor service fly Jetstar. Qantas has fallen asleep on its scheduling and is losing money because its lost the passengers! I thought the NT in Qantas stood for the Northern Territory but it apparently stands for Not There? No, keep investing in Jetstar, i love being able to fly new aircraft, thanks QF! Its time to go ……………………. How much money does it cost QF to refurbish the ex-jetstar A330s? Should of put the 787 straight into QF mainline and retired 767s. How many people would of bought tickets just to experience the state of the art 787? Time to really focus on restoring pride in the QANTAS name!! it all is very simple Qantas overhead is just too big. LAME’s making up to 180 K and doing AME jobs is not sustainable. Disagree Tony, the fact is, Jetstar Engineers are paid nearly as much as Qantas Engineers, the difference is in the productivity, Jetstar use Maintenance on demand, dont use Engineers for pushback,so they have a lot less Engineers than Qantas do, therein lies the cost saving! In fact this is the major problem for Qantas, not so much what its people are paid, but that their work practices make them less efficient and productive than other Airlines in Australia and Overseas!